MakaiPlan 5.0 is a major software release in the life cycle of Makai’s submarine cable planning software. In response to customer requests, many new features and added functionality have been introduced into this release. 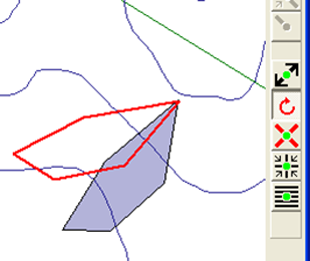 Users can now show X,Y positions in addition to the geographic/WGS84 positions used natively by MakaiPlan. A coordinate system file, created using GeoMedia, can be attached to the options tab of the RPL window. A new Merge Paths tool allows users to easily merge to paths into a single path either by selecting the paths from the plan view or selecting them from the dropdown list in the tool. After the merge, the user has the option to load and edit either of the original paths, or the merged path. Notes, lines and areas can now be rotated in the plan view by selecting the rotation button and clicking on a geometry object at the rotation center. 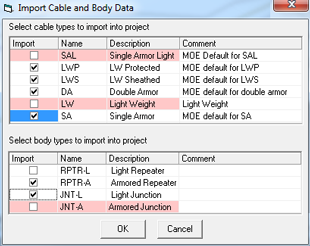 Cable and body property definitions can now be imported. From either the Cable List or Cable body List, press the Import button. Browse for the cable and body database which has the cable and body definitions which you would like to import. The Import Cable and Body Data window will open. Any cables or bodies in the selected database which already have definitions in the project database will be disabled (pink background). Check the cables and bodies which you wish to use in your project. Copies of the properties will be added to your cable and body database. If you wish to replace the properties of an existing type of cable or body, you must first delete it from your database and then import it. 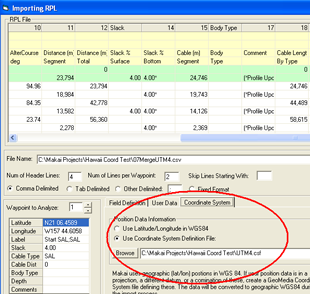 Projections and alternative Datums are now supported for importing position data in the RPL Window. 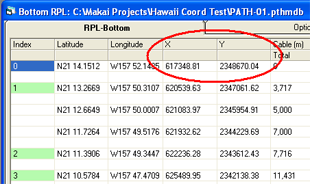 After creating a coordinate system file and defining the Position Data Information using the file, users can use the X and Y fields, rather than the Lon and Lat fields. The explorer window now displays the short name of the path, not the full file name. 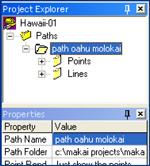 A field in the properties window was added to show the folder in which the path file resides. 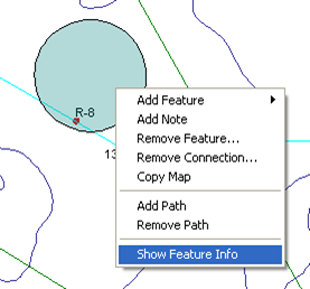 A user interface has been added to the Plan View to place a marker on a specific KP. This interface was added to the lower plan view toolbar. 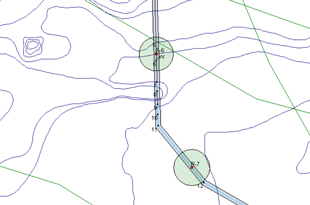 If multiple paths are in the project, you must first select the path you wish to mark by either selecting the path in the explorer window, selecting the path in the plan view, or editing the path in the plan view. 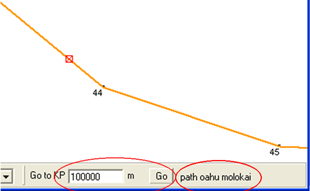 The short name of the selected path will appear on the right of the KP marker section. Users now have the option to delete objects from the selectable point list. A warning will be displayed if any of the objects to be deleted contain altercourses, transitions, or slack change points. A "Show Feature Info" option has been added to the right-click menu in the plan view allowing for easy access to feature information. The User Interface (Explorer Window, etc.) now supports upper case characters. Buffer zones are now supported around path lines, path points, and bodies. These can be defined as fixed width or width as a function of depth (for points and bodies). The buffer zones move as the path is edited and are persistent within the project. Undo and redo functionality have been added to path edits. There is a new Advanced tab in the project options to define the maximum number of undo’s and the location to store the undo data. 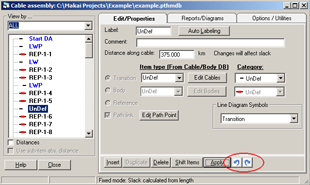 The undo and redo buttons will appear in two places: on the plan view top tool bar in the path section, and in the Cable Assembly form. These two locations have the exact same functionality, it does not matter where the edits were made. 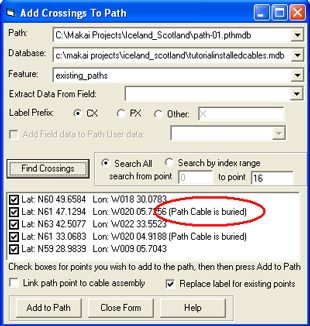 The "Add Crossings To Path" tool now includes the ability to indicate if the cable is buried at the crossing point. Circles can now be drawn, added and edited to the annotations database. In past releases, when opening a project or adding a path, a backup file was created for use in the Project Ã¢â‚¬“ Path Ã¢â‚¬“ Restore from Backup feature. This caused a slowdown when opening a project with many paths. This functionality has been modified such that the automatic backup is now made when the path is first edited, not when first loaded. If a path is loaded and never edited, no backup will be created.